Our Biomedical Systems Engineering degrees give the opportunity to gain core engineering skills while developing specialist knowledge that can be used to improve understanding and management of biomedical problems, and to develop the healthcare technologies of the future. Biomedical Engineers may choose to apply the principles of electromagnetic engineering to analyse the body’s own electrical and magnetic activity, making these measurements accessible to medical doctors and biologists. They may choose to apply the principles of mechanical engineering to the analysis of motion and creation of devices that monitor and support walking. Students may choose to apply Systems thinking perspectives to the impact of healthcare on people, processes, information and organisations, equipping them to work on high-level global priorities in healthcare. Biomedical Engineering is a key research theme at the School of Engineering. 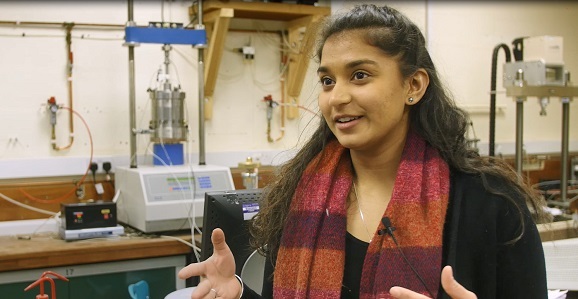 The Warwick Biomedical Systems degree reflects our strengths and industry collaborations in biomedical systems modelling, pharmacology, and healthcare technology, explored from a systems perspective. After graduation, Warwick students are especially well equipped to work in areas such as healthcare, pharmacology, medical device development and evaluation, and large-scale healthcare projects. Systems thinking supports description and prediction of the practical, cultural, and economic impact of major interventions. There are a broad range of facilities used during the biomedical engineering course at Warwick to apply knowledge gained from lectures. The gait laboratory is one such facility which few other universities benefit from. Another is the MRI microscopy probe. I believe the opportunity to use such facilities has enhanced my knowledge and allowed me to further understand the topics.